United Nation in Geneva -- In what gay advocates described as "a stunning development for the principles of the Universal Declaration of Human Rights," 85 nations signed a pro-gay statement that was read out by Colombia's representative at the United Nations Human Rights Council in Geneva on March 22. A culture war recently broke-out at the United Nations concerning gay, lesbian, bisexual, transgenderd, and intersex people. 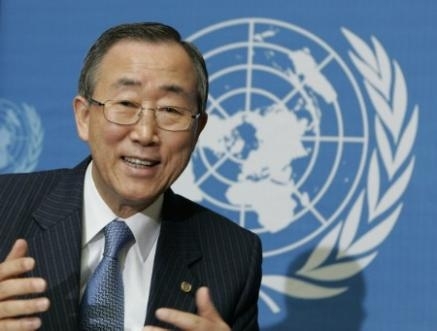 United Nations Secretary-General, Ban Ki-moon is the first leader of the United Nations to speak out of behalf of sexual orientation and gender identity. The statement read on March 22, 2011 "express(es) concern at continued evidence in every region of acts of violence and related human rights violations based on sexual orientation and gender identity" and "call(s) on states to take steps to end acts of violence, criminal sanctions and related human rights violations committed against individuals because of their sexual orientation or gender identity." ILGA, the International Lesbian, Gay, Bisexual, Trans and Intersex Association, called the statement "a very significant step forward towards international consensus on LGBTI people's rights. Kentucky Equality Federation is a member of ILGA. "We recognize that the fight at the United Nations underscores the historic split over gay rights at the United Nations and their diverse religious and cultural sensibilities, stated Kentucky Equality Federation President Jordan Palmer. "However, no State at the United Nations has the right to deprive someone of life because of the way they are born; we all have the right to live and to protect ourselves and our families." The nations that signed the statement are Albania, Andorra, Argentina, Armenia, Australia, Austria, Belgium, Bolivia, Bosnia-Herzegovina, Brazil, Bulgaria, Canada, Central African Republic, Chile, Colombia, Costa Rica, Croatia, Cuba, Cyprus, Czech Republic, Denmark, Dominica, Dominican Republic, Ecuador, El Salvador, Estonia, Fiji, Finland, France, Georgia, Germany, Greece, Guatemala, Honduras, Hungary, Iceland, Ireland, Israel, Italy, Japan, Latvia, Liechtenstein, Lithuania, Luxembourg, Malta, Marshall Islands, Mexico, Micronesia, Monaco, Mongolia, Montenegro, Nauru, Nepal, Netherlands, New Zealand, Nicaragua, Norway, Palau, Panama, Paraguay, Poland, Portugal, Romania, Rwanda, Samoa, San Marino, Serbia, Seychelles, Sierra Leone, Slovakia, Slovenia, South Africa, Spain, Sweden, Switzerland, Thailand, Timor-Leste, Tuvalu, Ukraine, United Kingdom, United States of America, Uruguay, Vanuatu, Venezuela, and the Former Yugoslav Republic of Macedonia. Nigeria's representative spoke against the statement, purportedly on behalf of the council's Africa Group. The representative said the terms "sexual orientation" and "gender identity" are undefined, talked about God, and said it takes a man and a woman to make a baby. At the end, however, he said that laws that criminalize sexual orientation should be expunged. Pakistan also spoke against the statement on behalf of an official bloc of 57 majority-Muslim nations. Russia opposed the statement, as well, saying it rejects discrimination and violence against LGBT people but should be allowed to limit rights for reasons of public morality. The representative reportedly said that "these people" should not be granted special rights. ILGA, the International Lesbian, Gay, Bisexual, Trans and Intersex Association, called the statement "a very significant step forward towards international consensus on LGBTI people's rights." "The strength of this statement makes the defense of discrimination against lesbians, gays, bisexual, trans and intersex people on the basis of a mistaken sense of 'tradition' or 'natural order' more untenable than ever," said the group's co-secretary general, Renato Sabbadini. "Homophobia and transphobia are more and more acknowledged for what they truly are: the last crumbling pillars of a patriarchal order which belong with other dark pages of our past, like slavery and the Inquisition." ILGA noted that more nations of the Southern Hemisphere signed this year's statement, and it highlighted the signatures of Dominica, Honduras, Central African Republic, Rwanda, Sierra Leone, and Seychelles. A statement from the White House said, in part: "Over the past months our diplomats have been engaged in frank, and at times difficult, conversations about the human rights of LGBT persons with governments from around the world. This morning, at the United Nations Human Rights Council, some 85 countries joined the United States in reaffirming our joint commitment to end acts of violence and human rights abuses on the basis of sexual orientation and gender identity. The president is proud of the work we have done to build international consensus on this critical issue and is committed to continuing our determined efforts to advance the human rights of all people, regardless of their sexual orientation or gender identity." The U.S. State Department said, "This statement adds new references not seen in previous LGBT statements at the U.N., including: welcoming attention to LGBT issues as a part of the Universal Periodic Review process, noting the increased attention to LGBT issues in regional human rights fora, encouraging the Office of the High Commissioner for Human Rights to continue addressing LGBT issues, and calls for states to end criminal sanctions based on LGBT status." The Human Rights Council is an intergovernmental body within the United Nations system made up of 47 states that aims to strengthen and protect human rights worldwide. ILGA, the International Lesbian, Gay, Bisexual, Trans and Intersex Association is a non-government observer at the United Nations with Consultative status. 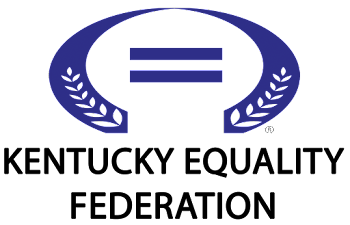 ILGA is the world's largest and oldest Federation with more than 600 affiliates, including Kentucky Equality Federation, worldwide.